I had the opportunity to spend the summer of 2017 doing research in Dr. Sheri Sheppard's Designing Education Lab (DEL). Exploring a wide range of engineering education topics, DEL aims to emphasize the relationship between research and academic and professional practice. 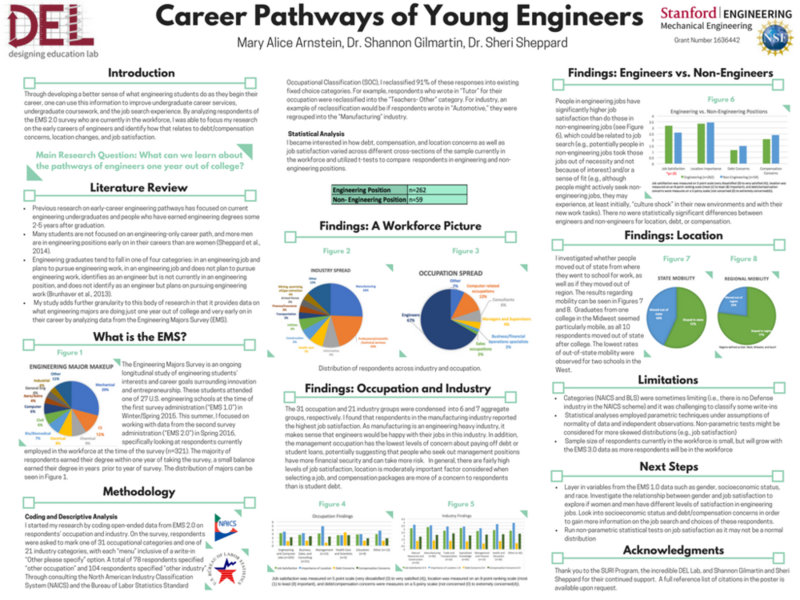 My research focused on analyzing data from a national survey of engineering students in order to inform on the various pathways of young engineers. My work intends to explore how to better design and assess the transition from school to the workforce.